At Doyle Schafer McMahon, LLP, we are a group of California dental malpractice defense lawyers who feel passionate about protecting our clients and maintaining their good names. We know that malpractice lawsuits take their toll on health care providers because far more than money is at stake. Our clients must face the stigma and damaged reputations that come from allegations of malpractice, and they need the vindication that comes from winning their cases. Did the patient simply have what he or she perceived as a negative or unpleasant experience, and has let that color the perception of quality or competent care? Is the patient in trouble financially, and hoping to reduce medical debt by using the malpractice claim as a bargaining chip? Is the patient otherwise financially motivated, and hoping to gain a monetary windfall? Did the patient fail to disclose any important information, like past conditions, prescriptions, or other data that contributed to the issue in question? Did the patient fail to follow instructions or aftercare procedures, thereby giving him or her responsibility in any deterioration of the condition? Does the patient have a history of non-compliance or combative behavior? As you can see, we believe in a comprehensive approach that considers all possible causes, which in turn, helps us plan defense strategies that cover every angle of a case. 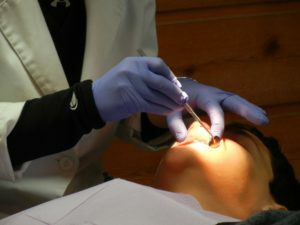 Likewise, as lawyers for dentists, we understand the need to present medical facts and procedures in a way that juries can understand, because when they see that our clients performed at the standard of care, they are able to discern the truth of the situation. We want our clients to feel that they have a partner, advocate, and defender on their sides. If you are facing a malpractice claim, contact our office today for a consultation, (949) 727-7077. We can help you get through this and restore your professional reputation and patient trust.